penguin, because it’s one of the species of penguins that are endangered. 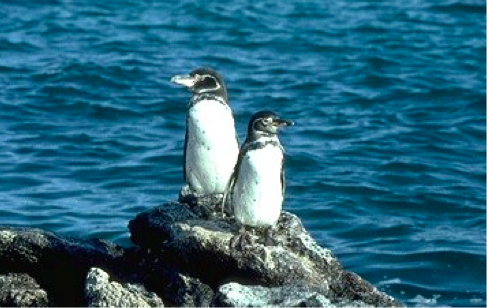 The Galapagos penguin is found all over the world; specifically in the Galapagos Islands, Santa Cruz, and the Floreana Islands (south of the equator). These penguins don’t live in Antarctica like penguins typically do, because they prefer to live in tropical destinations. swim further away from shore to find more food. and throw it away or do you just throw it away? The best thing you can do is cut it all up, then throw it away. Sometimes when penguins are in the ocean to go swimming, their necks can get caught onto these soda can wrappers. 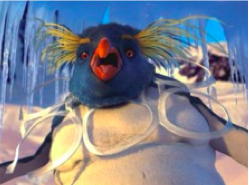 Even in the movie Happy Feet they address this issue. Penguins are my absolute favorite animal in the whole entire world! I think they’re so cute, especially when they waddle! A few years ago, my teacher assigned our class to each write about an endangered animal. I knew I wanted to write about penguins, because they were my favorite animal. That’s when I came across the Galapagos penguin. I knew I wanted to do something to help these animals. Very soon, I hope to take a trip to the Galapagos Islands, or Ecuador to see these animals in person. Penguins don’t deserve to live in harsh conditions like they’re currently living in. We can help them by recycling our recyclable items, cutting the soda can wrappers, and if you’re on the beach and you see trash pick it up! "Galápagos Penguin-Endangered Animals List-Our Endangered Animals." Galápagos Penguin-Endangered Animals List-Our Endangered Animals | KONICA MINOLTA. Konica Minolta, Inc., n.d. Web. 19 May 2015. "GalÃ¡pagos Penguin." WorldWildlife.org. World Wildlife Fund, n.d. Web. 20 May 2015. "PenguinWorld." Galapagos Penguin: Spheniscus Mendiculus. Lloyd Spencer Davis, n.d. Web. 22 May 2015.